The Bison Separator™ is a high capacity industrial vibratory screen equipment separator highly popular for grading and separating processing materials into different sizes. This industrial shaker and sizing equipment is manufactured with a robust, high-mass screening machine casting making the Bison Separator™ one of the most durable and reliable rectangular vibratory screen separator of its class. 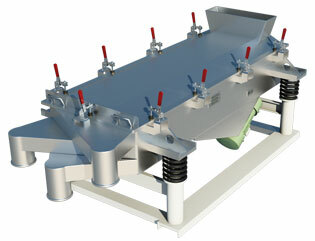 The Bison Separator™ is engineered to facilitate operators’ involvement with the unit. This industrial vibrating screener features multiple screen adjustment options including end-tensioned screens, hook style, wedges and bolt-down system, making the most versatile shaker separator in the market. One of the main benefits of the Bison Separator™ is the quick access door that allow operators easy access to the interior of the screening machine to clean or replace the screen – making the Bison Separator™ a unique and modern industrial vibratory screen separator and the first and only rectangular sizing equipment to incorporate this technology. This unique vibratory round separator offers a simple and effective screen design that does not requires high maintenance and reduces downtime. This rectangular vibrating screening machine features two high frequency foot mounted vibratory motors eliminating high maintenance shafts and bearings. 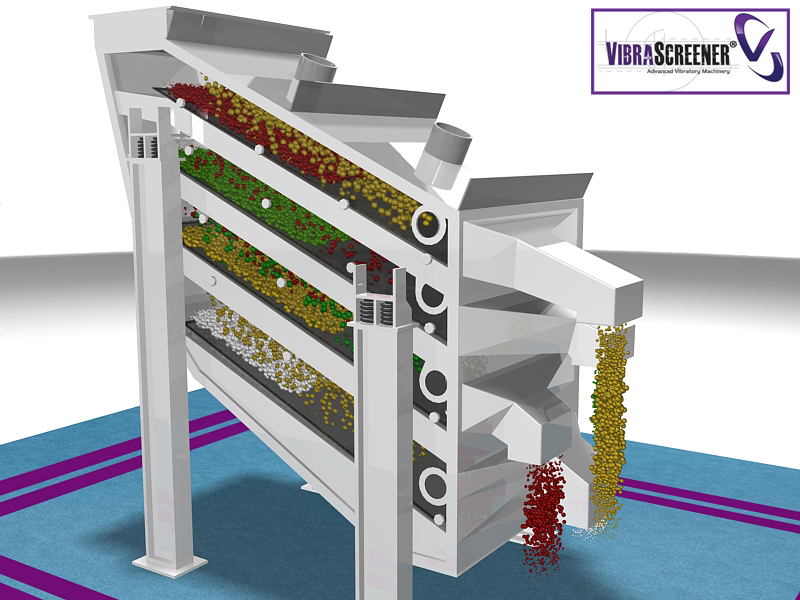 In addition to the standard specifications of the Bison Separator™, this industry performance vibrating screen is a very versatile vibratory screening machine, which is able to adapt to the specific screening requirements of your application. We can also design a variety of inlet and outlet sizes and configurations to meet your production needs and plant requirements. 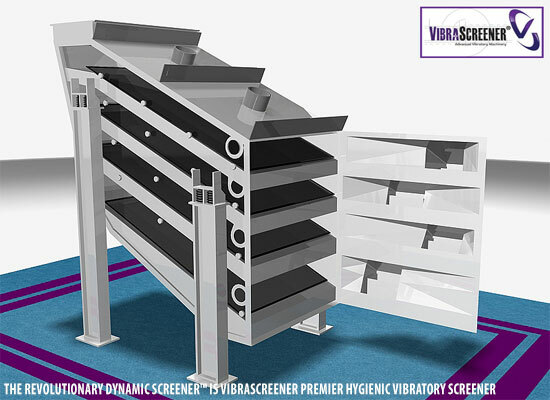 If you would like to get more information on the high performance Bison Separator™ industrial screen separator or any other VibraScreener® shakers separators and vibrating screening machines please contact one of our screening and separation specialists today.